As the winter nights draw in and the season of Christmas festivities approaches arguably there’s no better time to be seeking out truly chilling tales to read by the fireside. 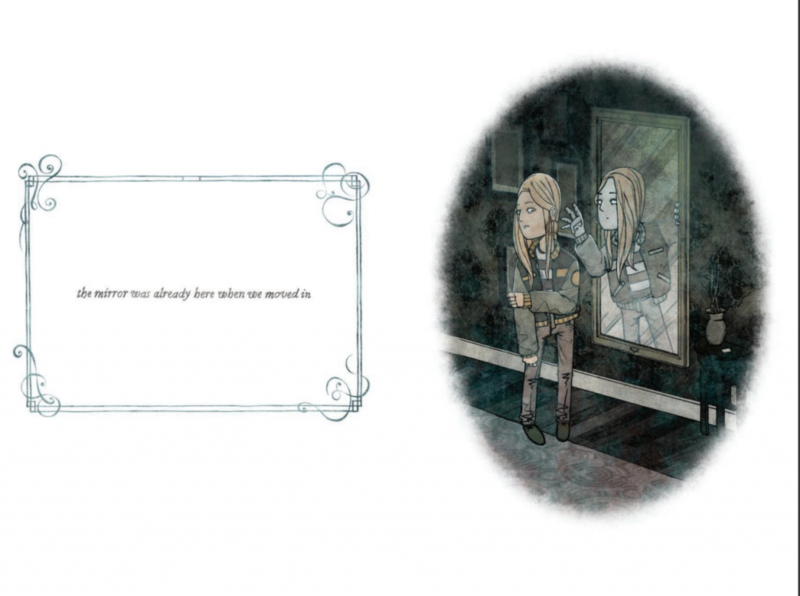 Which is why when we saw the simply stunning looking ‘Behind You – One Shot Horror Stories’ by Illustrator Brian Coldrick out now on IDW we simply had to find out more. If you haven’t heard of Brian’s work previously then I heartily recommend you immediately visit his webpage http://briancoldrick.tumblr.com/. 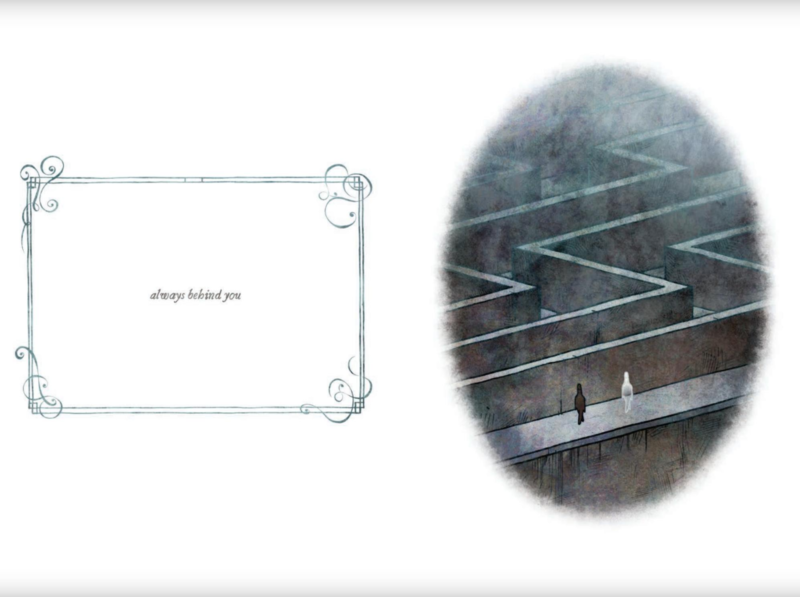 The genius in Brian’s work lies within telling a variety of detailed, terrifying and effective horror stories in the medium of short animated images. 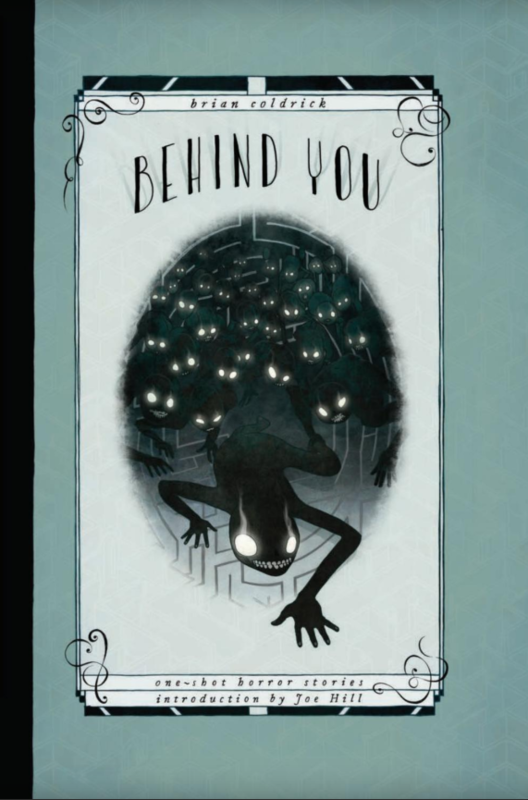 These renowned animations which have steadily built up a huge fan base, have now been taken from the screen and printed in book form for his debut ‘Behind you’. In doing so, one might argue that the overall effect of the original imagery could be lost in the static nature of the images. But if anything it’s the opposite. Brian’s pieces are works of art, and having them in static form in front of you on a page simply allows you to pour over every detail picking out the smaller elements you might’ve missed in an animation. 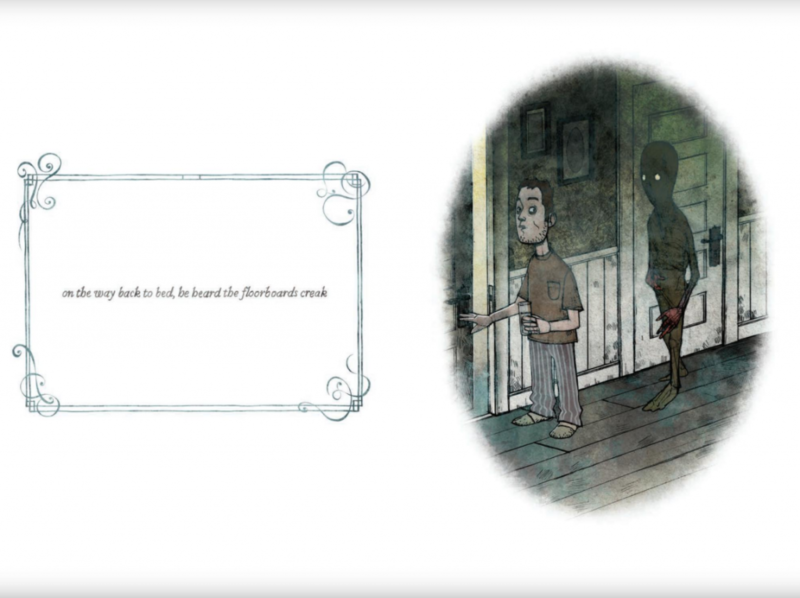 There’s countless monstrous fiends within the book, with far too many to describe in detail. But we particularly loved the hideous ‘Jigsaw’ man, slowly building himself vein by vein behind an unwary jigsaw puzzler. Also the ghoulish ww2 fiend, all bendy limbs and gas mask – snaking his way up an escalator behind an unsuspecting commuter. The amount of variation between the images is incredible – you never feel that any two stories are the same. I’d most certainly love to see a full length animation of every one of these on tv, as undoubtedly these are but the tip of each horrific iceberg. Also with a foreword from the legendary writer ‘Joe Hill’ himself who commends Brian’s work favourably you know when Stephen King’s son recommends your work you’re clearly onto something great.